From centre (Clockwise): GALE|MRBPKD848633979, GALE|VDNLKE677938231, GALE|NPUKGT030146335, GALE|NIZAFI289627721, GALE|MNJPMK81931159, GALE|UQQGLJ332090963, GALE|XFBNIF392456507. UBC Library users now have access to more than 1.5 million pages of rare and unique primary source content that offers an expansive and detailed look at LGBT2SQIA history. 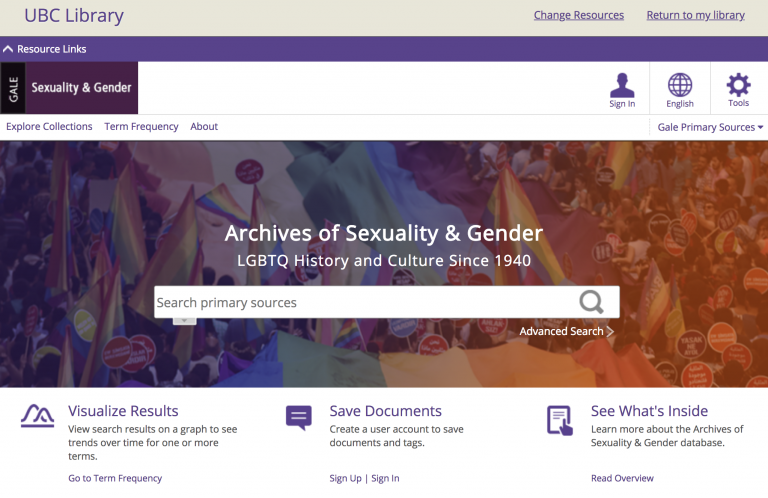 LGBTQ History and Culture Since 1940, Part II is a fully searchable archive that includes periodicals, newsletters, manuscripts, government records, organizational papers, correspondence, posters, and other primary source materials primarily from Canada and the United States. Much of the content, selected by an advisory board of leading scholars and librarians in sexuality and gender studies, has never been available to the public. The archive also contains significant Canadian content, including back issues of Toronto’s gay liberation newspaper, The Body Politic (1970-2015), and the papers of Douglas Sanders, Professor Emeritus of Law at UBC, Co-chair of UBC’s Faculty Association Committee on Gay and Lesbian issues and one of the founding members of the Association for Social Knowledge (ASK), BC’s first LGBTQ group founded in 1964. The archive’s key features enable users to group commonly occurring themes, revealing hidden connections to search terms and additional relevant information, create user-generated tags and user accounts which allows for easier collection, citation and grouping of sources and is full-text searchable thanks to Optical Character Recognition. Professor Ross is confident the archive will enrich exploration by historians, sociologists, anthropologists, urban planners, social workers, economists, and political scientists. 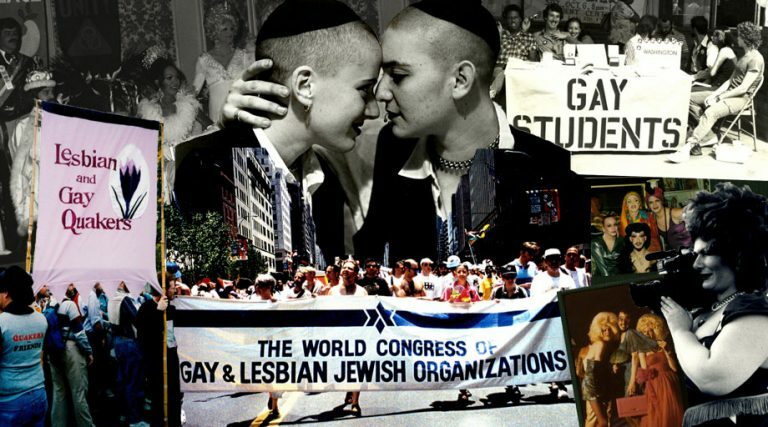 Explore LGBTQ History and Culture since 1940 (Part II).